If you have Apple iPhone 4S Smartphone device than you must have aware of its feature called "Siri" which allow its owners to speak and order certain work through its voice. Siri feature is now become the core feature of Apple iPhone 4S and every single person is using Siri into their daily life, but if you dont have iPhone 4S than you're not well aware of iPhone 4S Siri's feature but dont worry now you too can Install Siri on iPad, iPhone 4, iPhone 3GS, iPod Touch 4G, 3G Apple devices. Yes now it’s possible to Install Siri on any Apple iOS Devices including the iPad, iPhone and iPod's. We will show you a new and stable way to install Siri on your Apple iDevice called Spire which has been developed by Grant Paul the well-known developer. i4Siri team (the very well-known developers) has created a combination of Spire and i4Siri to establish a connection for Siri because Spire was a half solution for Siri porting project, as Spire only provides the Siri GUI and need a Siri proxy server to connect Siri with Apple servers. But with the help of Siri and i4Siri stable servers you can easily Install Siri on your iPad, iPhone 4, iPhone 3GS, iPod Touch 4G, 3G iOS devices. To Install Siri on your iPad, iPhone 4, iPhone 3GS, iPod Touch 4G, 3G, we will make a combination between Spire and i4Siri. Spire will install the solid parts of Siri on your Apple iDevice the i4Siri will power it up and allows your iDevice to connect with Apple Servers. So let’s start the Guidelines and Steps to Install Siri on iPad, iPhone 4, iPhone 3GS, iPod Touch 4G, 3G Apple devices. 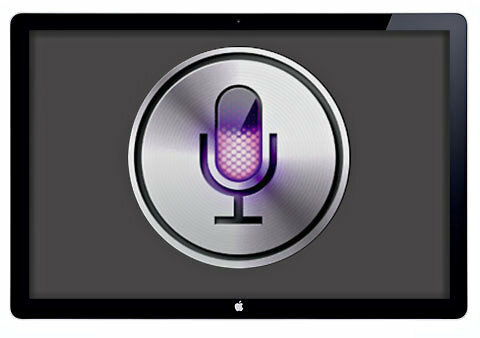 How To Install Siri On iPad, iPhone 4, iPhone 3GS, iPod Touch 4G, 3G Apple iDevices? Follow the following simple steps and guidelines to install Siri on your iPad, iPhone 4, iPhone 3GS, iPod Touch 4G and iPhone 3G devices. Step 2: Now, install Spire. Open Cydia > Search for Spire, then install it. (Spire will download 100 MB while installing (except the iPhone 4S). Please connect Wi-Fi before installing Spire). Step 3: Now open your iDevice Setting > General > Siri, and turn Siri on. Step 5: Now open This Link from your iDevice Safari. It will install the certificate to your iDevice. Congratulations!!. Important Note: If you use a proxy to access Siri, you may be sending your Email, SMS, Calendar, Contacts, Location, etc. though that server. Enjoy!